We're proud to announce that Splitwolf is now available on RetroPie! 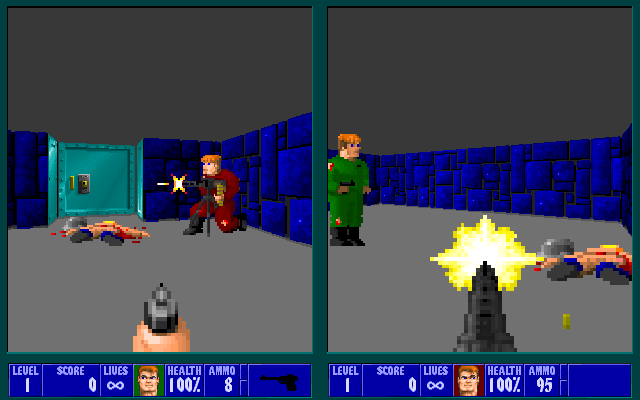 That's right, you can frag Nazis with up to 4 players on the big screen. You have only one life, but your weapons only take one shot to kill. Watch out, because so do the enemy's weapons! A bomb is spawned somewhere in the level, players must find and defuse it before time runs out, only then will the elevator unlock! One player must carry the flag to the end of the level before the time runs out. 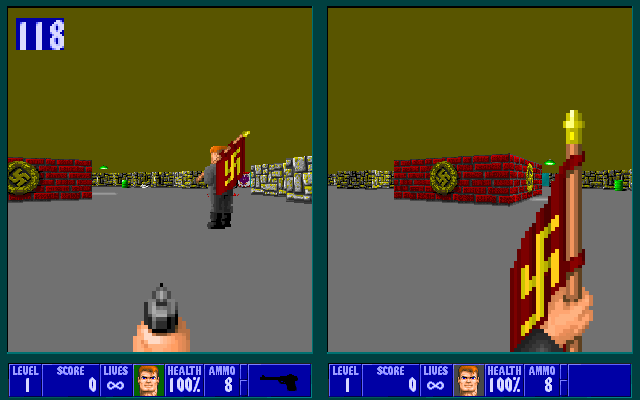 You can't shoot when you have the flag, but you can impale Nazis with it or pass it to your friend with the use key! Drink the blood of your enemies to survive! Spawn with all weapons and infinite ammo and try to finish the level before your blood bar drains. Harvester pillars are placed randomly around the level, and after each kill, a skull is spawned on the pillars. You must find a pillar and collect the skull before the countdown ends to stay alive! All of your enemies are zombie BJs with random weapons! Put your dukes up and knock your enemies out with fists of fury! Keep your adrenaline up to instagib enemies with one punch. Nazi zombies are attacking! Kill them by ganging up on them with shots from multiple players, otherwise they reanimate! 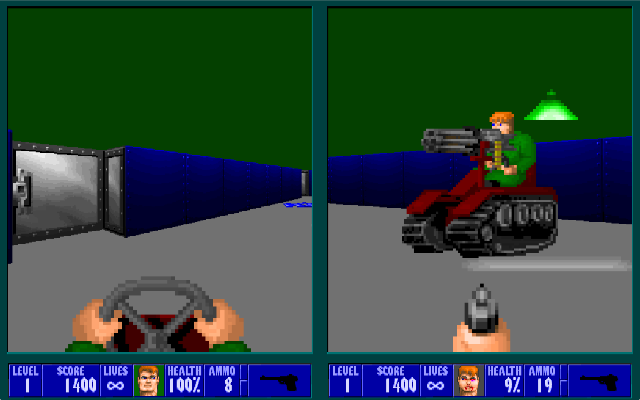 Just like harvester, but with Nazi zombies that reanimate for an added challenge. Splitwolf brings the pain with an armored vehicle equipped with a mounted gatling gun! 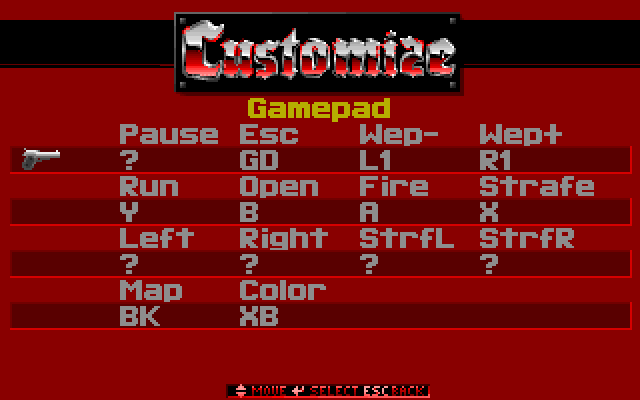 After installation, you'll be able to launch Splitwolf from the Ports menu in EmulationStation. 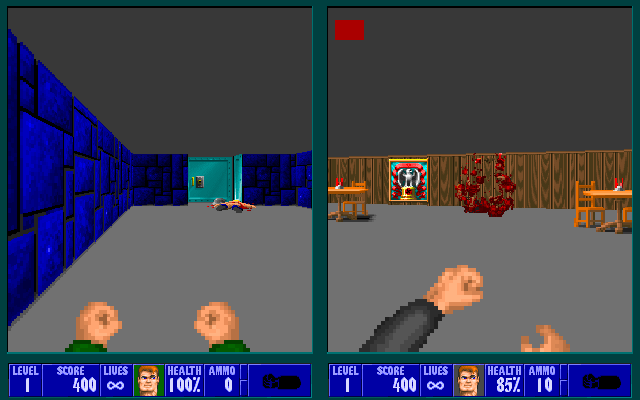 Game files should be added to roms/ports/wolf3d/ before installation. 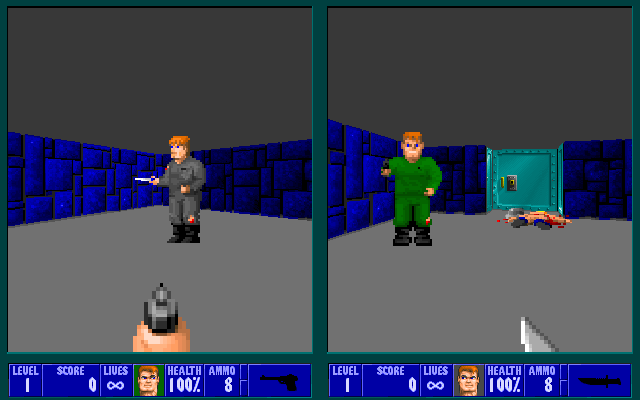 If not present, the install script will download the shareware versions of Wolf3D and Spear of Destiny. For RetroPie-specific Splitwolf support and questions (RetroPie installation, game files, etc), post on the RetroPie forums. For general Splitwolf support and questions (how to build, support for other platforms, map packs, etc), post on the Team Raycast forums. If you already have Splitwolf up and running and you've found a bug (glitch with the game, crash while playing, etc), please report it using the Splitwolf issue tracker. If you've found a bug with the RetroPie Setup installer, please report it using the RetroPie-Setup issue tracker. DO NOT USE ISSUE TRACKERS FOR GENERAL SUPPORT OR QUESTIONS, YOU WILL NOT BE HELPED! See the Splitwolf wiki for additional details, compilation instructions, game mode instructions, etc. Last edited by DoomJedi on Fri Jan 25, 2019 6:33, edited 1 time in total. Wow! All those game modes... looks so fun!